Glass top stoves are pretty. The smooth layer of glass on the top gives your kitchen a modern beauty that exudes class and elegance. But when you crack that glass with a heavy pan, all of that beauty goes out the window. Heat diffusers won’t protect your stove from harm altogether, but they will make it much harder for you to damage your glass top accidentally. Do Heat Diffusers Really Work? Yes. I’ll go into more depth on this topic after the product reviews, but for now, let’s get this basic fact out of the way. Heat diffusers do exactly what they say on the box. They help spread out heat evenly and they help provide a safety net so you don’t damage your range or your pots and pans. There are some downsides to these devices, of course, but the bottom line is that they’re effective. More importantly, however, they’re crazy cheap. You can get a fairly nice heat diffuser for less than the price of a fancy lunch. 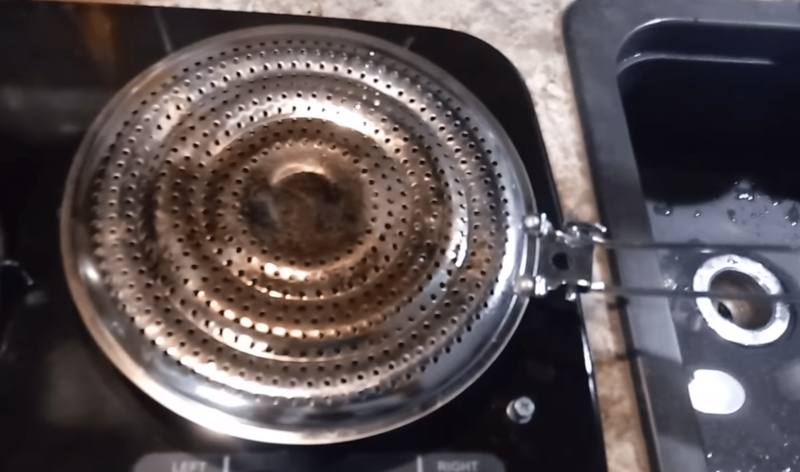 If you have a glass top stove, you really ought to pick up a heat diffuser and try it out. Even if you decide you hate it, you’re only out a few dollars. This heat diffuser is an aluminum disk attached to a metal handle. The disk is designed to evenly transfer heat throughout the whole device. 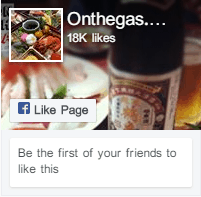 This means that you can use it to evenly heat a large pot on top of a small burner. When it comes to protecting a glass cooktop, this tool is perfect. Why? First of all, it’s made from aluminum. This means that heat will spread through the diffuser quickly. You don’t want a diffuser that slows down your cooking unnecessarily. Instead, you want one that’s more-or-less thermally transparent. This means you want aluminum, not steel. Second, it’s got both a flat side and a not-flat side. This lets you put the flat side in full, even contact with your glass top range. Cookware with uneven bottoms can quickly scratch, chip, or crack the glass on top of your range. If you put your cookware on this diffuser, however, you’re putting the diffuser in between any imperfections and your glass stovetop. This will dramatically reduce the chances of things breaking. This logic also applies to glass, porcelain, and enamel cookware. Normally, you want to avoid using these items on a glass stove for a multitude of reasons. With this heat diffuser in between your stove and your cookware, however, you can use cookware made out of pretty much any material you want. There are a few downsides to this unit, of course. First, it’s not effective on induction ranges, or at least it’s not advertised as such. You should look for a special “adapter plate” if you want to protect your induction range. 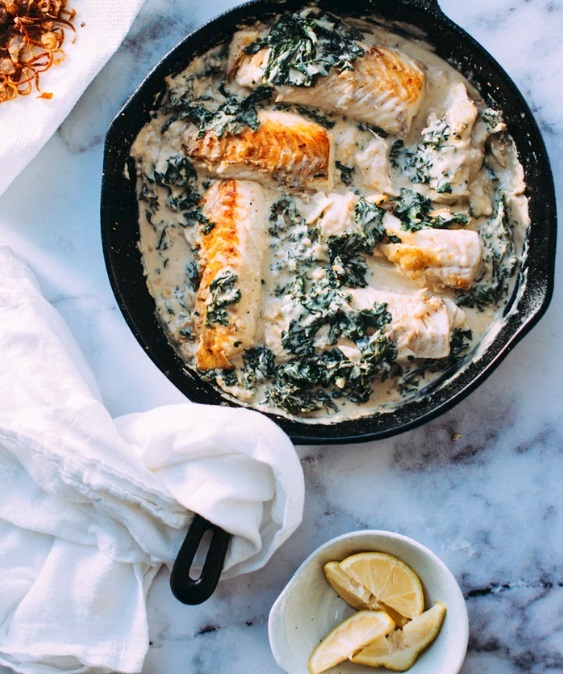 It’s probably a better idea to simply use induction-compliant cookware, however, which will almost always come with smooth metal bottoms that won’t damage your glass-top stove. Second, it will slow down your heat a little bit. Aluminum diffusers like this one are pretty thermally transparent when compared to stainless steel heat diffusers, but they’ll still make it take a little bit longer to boil water. If you want the fastest temperature changes around, there’s no way to beat direct contact between your pan and your stove. Finally, using this product on high heat will discolor and eventually damage it. As long as you don’t mind your diffuser being a bit brown in the center, this won’t be a problem for months or years. This device is also crazy cheap, so it’s not really a big hassle to replace. 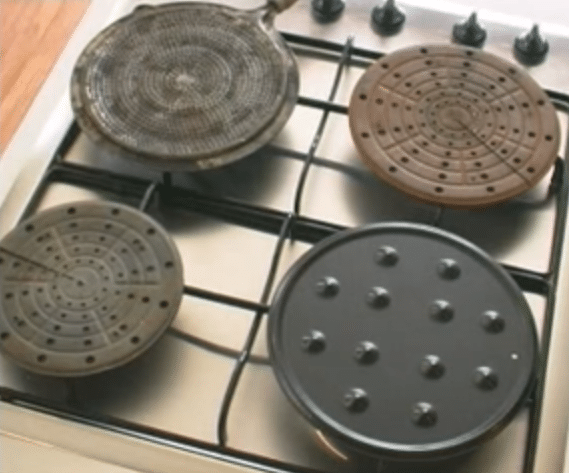 If you want to try out a heat diffuser for your glass top stove, the HIC Heat Diffuser Simmer Plate is a top pick. It’s incredibly cheap, made from the right materials, and has a smooth side that won’t scratch your stove. Don’t forget, it’ll also help spread heat out evenly to your pots and pans. This heat diffuser is designed to work with induction stoves. It’s got an aluminum middle for heat distribution, but the real power comes in the stainless steel that encapsulates the aluminum disk. Because this steel is magnetic, your induction cooktop can energize it and bring it up to the temperature of your choice. It then propagates heat through the aluminum disk and into your cookware. As far as glass stove use is concerned, this diffuser checks off all the boxes. It’s not made of ceramic, enamel, porcelain, or glass, so it’s safe to put on your stove. The bottom is totally flat, meaning you don’t have to worry about cracks or chips. It’s also got an aluminum core, which helps ensure that heat gets distributed as quickly and evenly as possible. There are two downsides to this model. First, induction interface disks don’t really work. They’ll get hot, sure, but they do so inefficiently and they don’t actually transfer as much heat to your cookware as you’d like them to. You should use this disk only as a temporary solution until you buy magnetic cookware that works directly on your range. Second, the addition of stainless steel makes it less thermally transparent than an all aluminum heat diffuser. This means that you’ll take a bigger hit to the performance of your stove if you’re just using this to protect the glass surface. While you’ll be able to use your rough-bottomed cast iron cookware safely, it’ll also take longer to heat up. For some people, this tradeoff isn’t worth it. VonShef’s Stainless Induction Diffuser is a wonderful product if you want to use your old cookware on your new stove. While it’s not an effective permanent solution, it can protect your stove and allow the use of non-magnetic cookware on an induction cooktop. The flat surface will protect the glass top of your stove and prevent it from making contact with cookware that’s too dangerous to use. It’s a great way to extend the life of your cookware a little bit or enable you to use one or two pieces that you don’t want to replace. While the other two heat diffusers on this page try to spread out heat quickly, this one works to do the opposite. It’s made of a type of steel that doesn’t conduct heat very well at all. 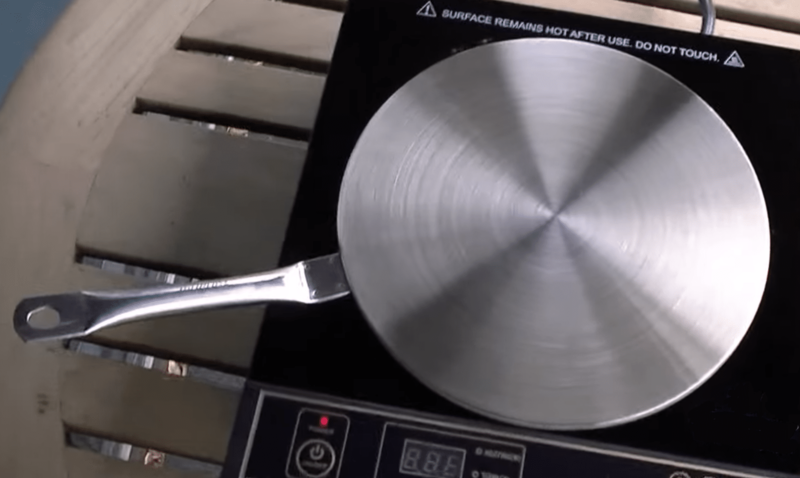 Since heat doesn’t flow through this diffuser very quickly, it helps prevent food from burning by acting as a barrier between your pot or pan and the burner. Personally, I’m not a big fan of devices like this one. I prefer to take a more active approach to managing my burner heat. That said, this diffuser does make things a lot easier when you’re simmering something for a long time. It’ll even out the release of heat into your pan, meaning that you’ve got a much wider range of temperatures to work with. As far as glass top stoves are concerned, this device will work wonders in enabling you to use rough-bottomed cookware or cookware that’s made out of a material that doesn’t go well with glass. It’s not a perfect tool for constant use, but you should find it more than adequate for the occasional simmer. If you want thermal responsiveness, however, you’ll definitely want one of the products above. Can I Use Cast Iron On A Glass Top Stove? Let’s dive right into the crux of things. Glass top stoves and cast iron cookware have gotten quite a lot more popular lately, and there are a lot of people who say that they don’t mix. What happens if you try to use cast iron on a glass top stove without a heat diffuser? The truth is, there’s not a lot of consistent danger when it comes to using cast iron on your fancy flat-top stove. Cast iron is metal, which means it won’t scratch the hard glass of your stovetop unless there’s quite a lot of force. If you’ve got a cast iron pan with a very smooth bottom, you should be able to use it on your glass-top stove with two caveats. First, cast iron is very heavy. It’s pretty easy to accidentally drop a cast iron skillet or pan onto a glass stove with enough force to crack the stove. It’s much harder to do this with steel or aluminum pans. Second, cast iron can get really hot. This is one of the primary advantages of cast iron, since you don’t want to heat most other kinds of cookware up to the kinds of temperatures you want for searing steak. These ultra-high cooking temperatures can get pretty dicey with the glass top of your stove, however, and they’re also very hard to control. If you’re not experienced at cooking with cast iron, you’ll want to limit your cooking to short bouts over low heat. Of course, all of this theory talk is moot if using cast iron will void your warranty. Be sure you thoroughly understand how things work before putting “unsafe” cookware on your stove, no matter how safe the internet claims it is. One final note: it’s especially important that the pots and pans that you use actually have smooth, metal bottoms. Non-metal materials (like ceramic or enamel) may melt and literally fuse with the glass on your stove. Non-flat bottoms will often cause chips or cracks in the surface of your stove. You may read somewhere that glass is harder than metal, so rough bottoms shouldn’t matter. This is true with regards to casual scratches, not serious cooktop damage. Use rough pans at your own risk. How Do Heat Diffusers Change Things? 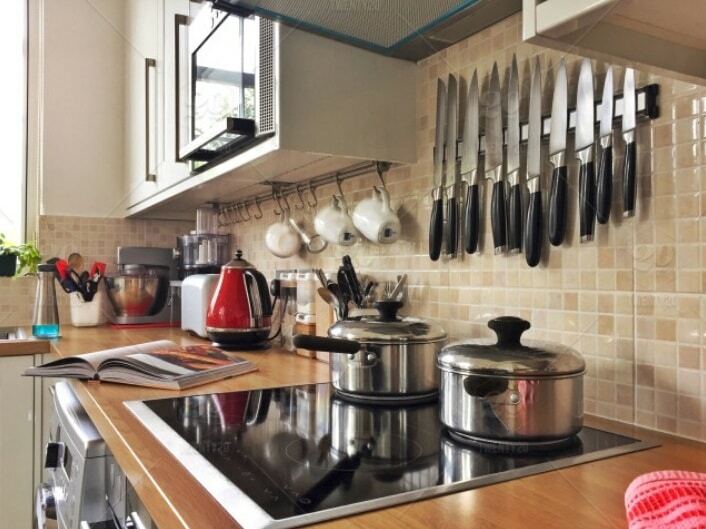 Heat diffusers act as a protective barrier in between your cookware and the glass top of your range. This changes things in a fundamentally important way. 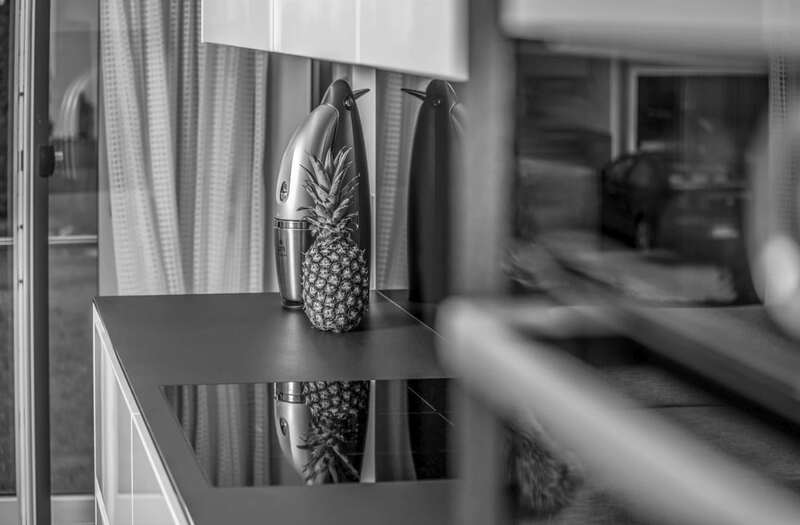 Heat diffusers act as glass cooktop protectors by providing a physical barrier. This means there’s no physical contact between your cooktop and the cookware you use. With no contact, rough bottoms and unsafe materials don’t matter anymore. Any damage will occur between the diffuser and your cookware, not between the diffuser and your range. There is one exception to this: if you heat your diffuser to an absurdly high temperature it can cause all sorts of damage to your range. Be sure you don’t cook with more heat than you need and never heat up a diffuser without a pot or pan full of food on top of it. As long as there’s something to actually transfer heat to you should be fine. Heat diffusers are also cheap and durable. While you can buy protective cooking pads for glass top stoves that are made out of heat-resistant fabric, these cooking pads don’t last very long. You’ll damage the fabric with each and every spill, even as you literally scorch it in between two pieces of hot metal. As a result, these pads become ugly with damage nearly instantly and will quickly become too worn out to be useful. By contrast, metal heat diffusers are made of durable metal. They’ll easily hold up to repeated applications of high heat, and they won’t be ruined permanently should you spill a little bit of soup on them. They’re also pretty easy to clean in the sink. This isn’t to say that metal heat diffusers will look flawless and shiny forever. They will discolor a little bit after repeated use over high heat. What it does mean, however, is that they’re very durable and should last for months or years with proper use. As I said earlier, they’re also fantastically cheap, so replacing them isn’t a big deal. Heat diffusers aren’t a flawless permanent solution for a cookware collection that’s entirely incompatible with a glass top stove. 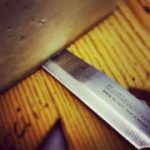 They are, however, brilliant temporary stopgaps that will let you occasionally use a rough bottomed pot or an enameled pan. Since heat diffusers are incredibly cheap, there’s no reason not to pick one up and try it out for yourself! You’ll be able to use your favorite old cookware with your snazzy new stove without damaging anything.